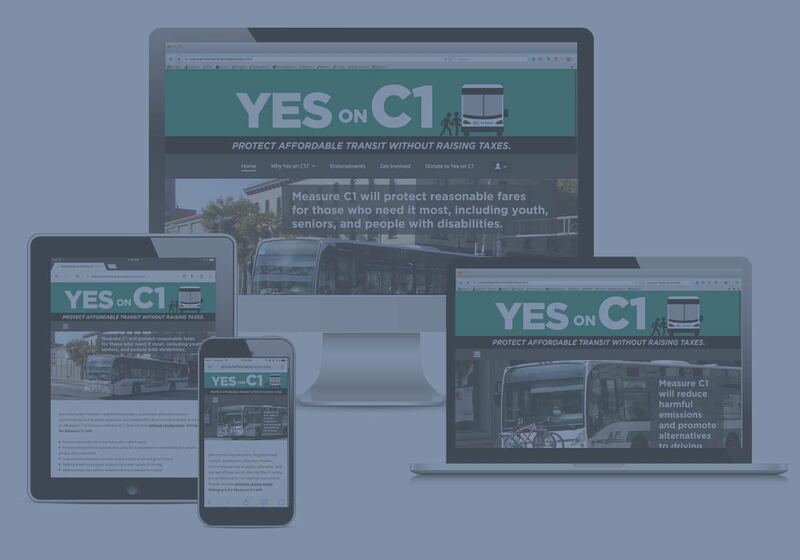 Among the rapid-fire projects I took on soon after starting at The Next Generation, a campaign consulting firm with about a dozen clients, was to build the website for the “Yes on Measure C1” campaign. The Next Generation’s preferred rapid website deployment tool is NationBuilder. I built a custom theme based on the existing visual identity and Collective, a public theme. My objectives for the site, aside from building it in a matter of days, were for it to work well on all devices (mobile-first) and to be clean and easy to navigate. I made many changes to the layout that made it easy to use and aesthetically pleasing at all sizes. It was taken down too quickly after the election for me to archive its design and functionality together, however. The archived site doesn’t reflect the functionality of the original site; archive.org’s added code conflicts with the site’s responsiveness on phones and tablets.